Stone vase of Seth-Peribsen with the inscription "tribute of the people of Sethroë", National Archaeological Museum (France). Seth-Peribsen (also known as Ash-Peribsen, Peribsen and Perabsen) is the serekh name of an early Egyptian monarch (pharaoh), who ruled during the Second Dynasty of Egypt (c. 2890 – c. 2686 BC). His chronological position within this dynasty is unknown and it is disputed who ruled both before and after him. The duration of his reign is also unknown. Peribsen's name is unusual, in that Set, not Horus, was his patron deity. This goes against the Egyptian tradition of a king choosing the falcon-shaped deity Horus as his royal patron. Peribsen's tomb was discovered in 1898 at Abydos. It was well preserved and showed traces of restoration undertaken during later dynastic periods. The serekh for Peribsen was found pressed in earthen jar seals made of clay and mud and in inscriptions on alabaster, sandstone, porphyry and black schist vessels. These seals and vessels were excavated from Peribsen's tomb and at an excavation site in Elephantine. One clay seal with Peribsen's name was found inside the mastaba tomb K1 at Beit Khallaf. Two large tomb stelae made of granite were found at his burial site. Their shape is unusual and they appear unfinished and rough. Egyptologists suspect that this was done deliberately, but the reasons are unknown. A cylinder seal of unknown provenance shows Peribsen's name inside a cartouche and gives the epithet Merj-netjeru ("beloved of the gods"). This arrangement leads Egyptologists and archaeologists to the conclusion that the seal must have been created later, in memoriam, because the use of royal cartouches began long after Peribsen's reign. Another seal of the same material shows Peribsen's name without a cartouche, but with the royal title Nisut-Bity ("king of Lower- and Upper Egypt") instead. Existing negative views about Peribsen's existence are based on Ramesside king lists, such as the Abydos King List, the Saqqara King List and the Royal Canon of Turin, which all omit Peribsen's name. These, however, are known to have been redacted nearly 1,500 years after his death and several 4th dynasty tombs of priests performing the funerary cult for Peribsen have been uncovered. These tombs report Peribsen's name correctly and their existence demonstrate that Peribsen was seen as a legitimate pharaoh, not subject to damnatio memoriae as Akhenaten later would be. Historians and Egyptologists therefore consider the possibility that Peribsen's name was actually forgotten in time or that his name was preserved in a distorted, misspelled form. Peribsen's royal name is a subject of curiosity for Egyptologists because it is connected to the deity Seth rather than Horus, as was traditional for the name of a pharaoh. Traditionally, the Horus name of the king was written within a serekh: the image of the facade of the royal palace beneath a falcon representing the god Horus (see Hieroglyphics). Instead, Peribsen chose to have the Set animal, representing Seth, on his serekh. Although Peribsen is the only known pharaoh to have the Set animal preside alone over his serekh, he is not the only king to associate himself with Seth. Examples include the 13th dynasty pharaoh Seth Meribre, the 19th dynasty rulers Seti I and Seti II and the 20th dynasty king Setnakhte. The debate continues over why Peribsen chose this name. Earlier theories have favoured the idea that Egypt was split in two realms during Peribsen's time or that he was a heretic, who sought to start a new monotheistic religion with Seth as the only worshipped god. However, newer evidence and evaluations tend to show that the Egyptian kingdom was unified, but witnessed a vast and profound reform during the second dynasty. Seal impressions from tombs of this era reveal great changes in the titles held by high officials, pointing to a reduction of their power. Further seal impressions show that several deities were worshipped under Peribsen, refuting the monotheism theory, with other contemporary inscriptions indicating that the Egyptian grammar was perfected during his reign: In particular, the earliest seal impressions with complete sentences date back to Peribsen's reign. Thus, Peribsen's reign was in fact a time of cultural and religious advancement. Peribsen's choice of patron, and his rule during the shadowy period of the mid Second dynasty, led Egyptologists and historians to search for possible explanations for both his name and the troubled times he lived in. The following sections discuss some of the theories that they put forth. Inscription from a porphyry-vase displaying the serekh of Peribsen; note the Seth-animal with a sun-disk above. A theory that was popular until the mid 20th century, supported by Egyptologists Percy Newberry, Jaroslav Černý, Walter Bryan Emery and Bernhard Grdseloff held that Peribsen was a heretic who sought to introduce a new, monotheistic state religion to Egypt, with Seth as the only worshipped god. Peribsen's actions were thought to be similar to those of the much later 18th dynasty pharaoh Akhenaten, who had required Egyptians to serve only Aten. Newberry proposed that the priests of Horus and Seth fought each other "in the Manner of a war of the roses" during the second half of the Second dynasty. The "heretic Peribsen" theory was based on three observations: that the name "Peribsen" was excluded from later king lists, that the king's tomb had been destroyed and plundered during antiquity and finally that the tomb stelae of Peribsen, that once displayed the Set animal, were badly scratched with the clear intention of effacing the Seth image. Egyptologists hypothesized these were the actions of religious opponents to the Sethian priest-caste. Lauer and Firth relied on the "heretic Peribsen" theory to explain the enormous quantity of stone vessels inscribed with the name of First and Second dynasty kings found beneath Djoser's pyramid in bags bearing seals of Khasekhemwy and Djoser. They proposed that Peribsen had plundered the tombs of his predecessors, followers of Horus, and scattered their funerary equipment. These vessels were gathered in the royal treasury during Khasekhemwy's reign following his reunification of Egypt, and finally put beneath the step pyramid by Djoser, in an act of pious devotion. Today this theory, as well as Lauer and Firths' conclusions, is widely questioned. Archaeological evidence of Peribsen has almost entirely been found in Upper Egypt. In particular, his name does not appear in Lower Egyptian records surviving from that time. It is argued that Peribsen may not have ruled over all of Egypt and therefore did not have the authority to force a change in state religion. Another piece of evidence that argues against the "heretic Peribsen" theory is the false door of the priest Shery at Saqqara. Shery held office during the early Fourth dynasty. The inscription on the false door connects the name of Peribsen in one sentence with another shadowy king of the Second dynasty, Senedj. According to the addendum, Shery was "overseer of all wab-priests of king Peribsen in the necropolis of king Senedj, in his mortuary temple and at all other places". This implies that the funerary cult of Peribsen continued at least until the Fourth dynasty, inconsistent with the assumption that Peribsen's name was not allowed to be mentioned. 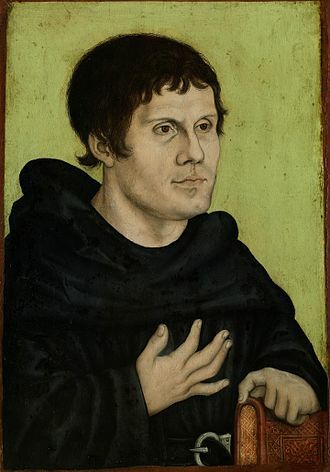 Additionally, Egyptologists such as Herman te Velde point out that Shery was not the only Fourth dynasty priest participating in the funerary cult of Peribsen. Inkef, possibly a brother or cousin of Shery, also held the title of a "supervisor of Ka-priests of Peribsen". Seal impressions found in Peribsen's tomb at Abydos show several deities: Ash, Min and Bastet, suggesting they were venerated during Peribsen's time on the throne. This finding argues against Peribsen worshipping a single god, or promoting monotheism. The heretic theory of Newberry, Černý, Grdseloff and others was devised from the very limited archaeological information available during their lifetimes. Most of the found clay seal impressions were still undeciphered and untranslated at their time. Vessel from the tomb of king Peribsen, Ashmolean Museum. In the opinion of Sainte Fare Garnot (1956) and te Velde (1956), the name of "Peribsen" accords religious meaning, even before association with a deity. The name "Peribsen" literally means "He who comes forth by their will" or "His heart and will comes forth for them. "[clarification needed] The Egyptian syllable sn means "them, their, those", revealing a clear plural writing. Te Velde and Garnot are convinced that Peribsen used the heraldic Seth animal as a serekh patron, but also linked his name to Horus. If true, it would prove that Peribsen worshipped Horus and Seth on an equal footing during his lifetime. An ostentatious plural meaning with religious ambiguity was not uncommon for pharaohs' names in the early Egyptian dynasties. Peribsen may have been perceived as a living incarnation of both Horus and Seth in equal measure, just like his predecessors on the throne. Therefore, Peribsen's name may actually show no break in the sacred tradition; he added the power of Seth to Horus. As further examples, the titles of early dynastic queens used plural patron deities, such as "she who is allowed to see Horus and Seth" and "she who carries Horus and Seth". 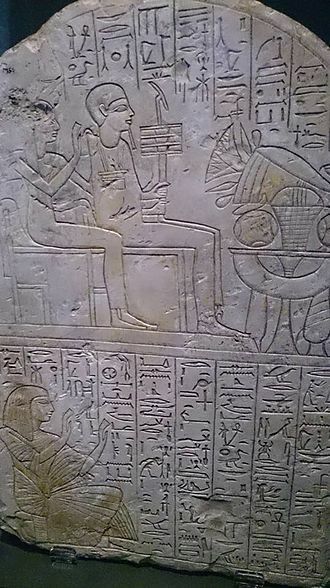 Similarly, the unusual serekh of king Khasekhemwy, the last ruler of the Second dynasty, shows the deities Horus and Seth together atop the serekh. Horus wears the White Crown of Upper Egypt and Seth wears the Red Crown of Lower Egypt. Both gods are depicted facing each other in a kissing gesture. This special name was meant to illustrate the dual incarnation of the king as the representative of Horus and Seth, with power over all Egypt. Khasekhemwy's name can be interpreted as an advanced form of Peribsen's serekh name. Egyptologists Ludwig David Morenz and Wolfgang Helck remark that the targeted gouging of Seth-animals did not occur until the New Kingdom of Egypt. The erasure of the Seth chimera on Peribsen's tomb stelae had been attributed to activity shortly after his death under the "heretic" theory; new discoveries suggested the defamation occurred centuries later. 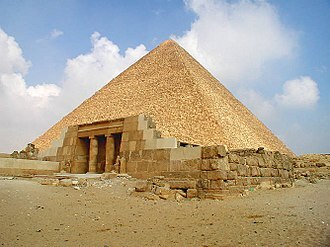 Historian Dietrich Wildung states that the necropolis of Abydos was not the only one plundered in antiquity: the tombs at Saqqara and Giza were also ransacked. Thus, he concludes that any targeted action against one particular pharaoh can be excluded. The earlier theories of Newberry, Černý and Grdseloff said that the Egyptian state under Peribsen suffered from several civil wars, either economic or political in origin. If he was held responsible for the putative misery in the past, this could explain why later king lists excluded Peribsen. In contrast, more recent theories now hold that, if the Egyptian kingdom was divided, the division happened peacefully. Egyptologists such as Michael Rice, Francesco Tiradritti and Wolfgang Helck point to the once palatial and well preserved mastaba tombs at Sakkara and Abydos belonging to high officials such as Ruaben and Nefer-Setekh. These are all dated from the reign of Nynetjer to that of Khasekhemwy, the last ruler of the Second dynasty. Egyptologists consider the archaeological record of the mastabas' condition and the original architecture as proof that the statewide mortuary cults for kings and noblemen successfully took place during the entire dynasty. If true, their preservation is inconsistent with the theory of civil wars and economic problems during Peribsen's reign. Rice, Tiradritti and Helck think that Nynetjer decided to leave a divided realm because of private or political reasons and that the split was a formality sustained by Second Dynasty kings. The origin of the political division is unknown. It might have happened at the beginning of Peribsen's rule or shortly before. Because Peribsen chose the deity Seth as his new throne patron, Egyptologists are of the view that Peribsen was a chieftain from Thinis or a prince of the Thinite royal house. This theory is based on Seth being a deity of Thinite origin, which would explain Peribsen's choice: his name changing may have been nothing more than smart political (and religious) propaganda. Peribsen is thought to have gained the Thinite throne and ruled only Upper Egypt, whilst other rulers held the Memphite throne and ruled Lower Egypt. Egyptologists Walter Bryan Emery, Kathryn A. Bard and Flinders Petrie believe that Peribsen was also known as Sekhemib-Perenmaat, another Second Dynasty ruler that had connected his name with the falcon-god Horus. As evidence, clay seals of Sekhemib found in the entrance of Peribsen's tomb support this hypothesis. Sekhemib's tomb has not yet been found. This theory is debatable; Hermann Alexander Schlögl, Wolfgang Helck, Peter Kaplony and Jochem Kahl argue that the clay seals were only found at the entrance area of Peribsen's tomb and none of them depict Peribsen and Sekhemib's names together in one inscription. Furthermore, they remark that it was customary for a pharaoh to bury and seal his predecessor's tomb; the presence of Sekhemib's seals show the line of dynastic inheritance. Similar inferences can be drawn from the ivory tablets of king Hotepsekhemwy found at the entrance of king Qa'a's tomb and the clay seals of Djoser found at the entrance of Khasekhemwy's tomb. Schlögl, Helck, Kaplony and Kahl are convinced that the discovery of Sekhemib's seals support the view that Sekhemib immediately succeeded Peribsen and buried him. Scholars Toby Wilkinson and Helck believe that Peribsen and Sekhemib could have been related. Their theory is based on the stone vessel inscriptions and seal impressions that show strong similarities in their typography and grammar. The vessels of Peribsen show the notation "ini-setjet" ("tribute of the people of Sethroë"), whilst Sekhemib's inscriptions have the notation "ini-khasut" ("tribute of the desert nomads"). A further indication that Peribsen and Sekhemib were related is by serekh-name; they use the syllables "Per" and "ib" in their names. The false door inscription of Shery might indicate that Peribsen is identical with king Senedj ("Senedj" means "the frightening") and that this name was used in the king lists by proxy, as the Seth name was forbidden mention. In contrast, Dietrich Wildung and Wolfgang Helck identify Peribsen with the Ramesside cartouche name Wadjenes. They think it is possible that the name Per-ib-sen was misread from a sloppy hieratic inscription of Wadj-sen.
As some archaeological records support the view that the Egyptian state was divided during Peribsen's reign, there is continued debate as to why his predecessors decided to divide the realm, and whether Peribsen ruled part or all of Egypt. Egyptologists Wolfgang Helck, Nicolas Grimal, Hermann Alexander Schlögl and Francesco Tiradritti believe that king Nynetjer, the third ruler of the Second dynasty and predecessor to Peribsen, ruled an Egypt that was suffering from an overly complex state administration. Nynetjer decided to split Egypt to leave it to two chosen successors who would rule two separate kingdoms, in the hope that the state administration could improve. Archaeological evidence, such as the imprinted clay seals and inscribed jars, appear to support the claim that Peribsen ruled only in Upper Egypt. A great number of these were found in Abydos, Naqada and at Elephantine, with only a single clay seal bearing his name found in Lower Egypt, at Beit Khallaf. Historians think Peribsen's realm would have extended from Naqada to the Isle of Elephantine. The rest of Egypt would therefore have been controlled by a different, coexisting ruler. 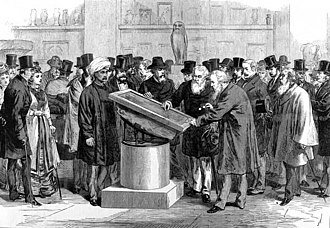 Egyptologist Dimitri B. Proussakov supports his theory with notations on the famous Palermo stone concerning the year events of king Nynetjer. From the twelfth year event onward, "The king of Upper- and Lower Egypt appears" was amended to "The king of Lower Egypt appears". Proussakov sees this as a strong indication that Nynetjer's power over Egypt had diminished. Egyptologists compare the situation to that of king Qa'a, one of the last rulers of the First dynasty. When Qa'a died, obscure claimants appeared and battled for the throne of Egypt. The struggles reached an apex with the plundering of the royal cemetery at Abydos, whereupon the cemetery was abandoned and Saqqara became the new royal burial site. The conflict was ended by the ascension of king Hotepsekhemwy, the founder of the Second dynasty. Barbara Bell, another scholar, believes that an economic catastrophe such as a famine or a long-lasting drought affected Egypt. To better address the problem of feeding the Egyptian population, Nynetjer split the realm into two and his successors founded two independent realms, perhaps with intent to reunite after the famine. Bell points to the inscriptions of the Palermo stone, where, in her opinion, the records of the annual Nile floods show constantly low levels during this period. Bell's theory is refuted today by Egyptologists such as Stephan Seidlmayer, who asserts her calculations were incorrect. Seidlmayer has shown that the annual Nile floods were at usual levels at Nynetjer's time up to the period of the Old Kingdom. Bell overlooked that the heights of the Nile floods in the Palermo stone inscription take into account the measurements of the nilometers around Memphis, but not elsewhere along the river. A state-wide drought was unlikely. 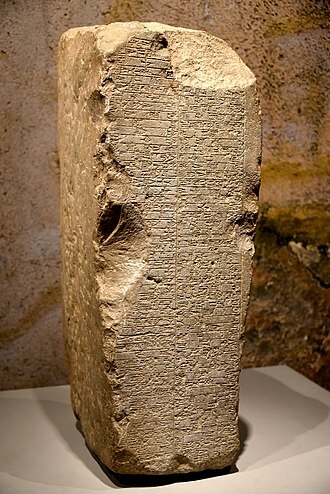 Scholars such as Herman TeVelde, I. E. S. Edwards and Toby Wilkinson believe the inscription of the famous Annal stone of Fifth dynasty, a black olivin-basalt slabstone displaying a very detailed king list, argues against the division of the realm. On the stone the kings from 1st to 7th dynasty are listed by their Horus name, their gold name and their cartouche name, their name banderoles end with the name of their royal mother. The lists also contain rectangular windows presenting year events from the day of king's coronation up to his death. The most famous fragments of the Annal stone are called Palermo Stone and Cairo Stone. On the Cairo stone, in line IV, the nine last years of king Nynetjer are preserved (but most of the year windows are illegible now). 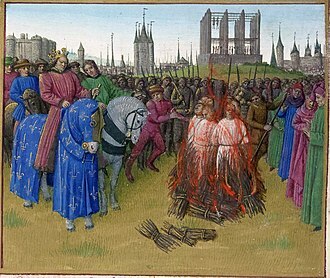 The date of Nynetjer's death is followed by a new king. Recent investigations reveal that the serekh of that new king is surmounted by a four-legged animal, not by the Horus-falcon. Since the only four-legged heraldic serekh animal in early Egypt was the chimera of the god Seth, despite passionate disagreement, the indicated ruler is likely to be Peribsen. Egyptologists such as TeVelde, Barta and Edwards do not agree; Peribsen might have not been the only king with a Seth-name. The year events under Nynetjer show increasing references to Seth, suggesting the tradition of a Horus name as the sole name of kings might have already evolved. The rise of a king allied with Seth was thus unsurprising. TeVelde, Barta and Edwards think that, in addition to Peribsen, the rulers Wadjenes, Nubnefer or Sened might have been Seth-kings as well; one of them surely was the true direct successor of Nynetjer. The comparatively large amount of archaeological finds from Peribsen's reign contradict the brief estimated length of rulership, only 10 to 12 years, as presented on the Annal stone. The Annal stone gives absolutely no indication of a division of the Egyptian realm. Barta, TeVelde, Wilkinson and Edwards argue that the theory of state division is untenable. An administrative reorganization or split in the priesthood sects is more likely. During his time on the throne, Peribsen founded an administrative center called "The white house of treasury" as well as a new royal residence, called the "protection of Nubt", located near Ombos ("Nubt" being the Ancient Egyptian name of Naqada). The administrative titles of scribes, seal-bearers and overseers were adjusted to correspond to the divided bureaucratic state administration. For example, titles like "sealer of the king" were changed into "sealer of the king of Upper Egypt". This bureaucratic reform may indicate an attempt by Peribsen to limit the power of these officials, further evidence for a bloated and unwieldy state administration under Nynetjer. The administration system under Peribsen and Sekhemib had a clear and well-defined hierarchy; as an example, from highest to the lowest rank: Treasury house (royal and therefore highest in ranking) → pension office → property → vineyards → private vineyard (property of citizens and therefore lowest in ranking). King Khasekhemwy, the last ruler of the Second dynasty, was able to re-unify the state administration of Egypt and therefore unite the whole of Ancient Egypt. He brought the two treasury houses of Egypt under the control of the "House of the King", bringing them into a new, single administration centre. Peribsen also founded royal edifices such as Per-nubt ("house of Ombos") and Per-Medjed ("house of meetings") and created several cities of economic importance. Their names, Afnut ("city of the headdress-makers"), Nebj ("protector's city"), Abet-desheret ("city of the red granite jars") and Huj-setjet ("city of the Asians'), are mentioned on numerous clay seals alongside Peribsen's serekh, often preceded by the phrase "visit of the king at ...". Inscriptions on stone vessels also mention an "ini-setjet" ("tribute of the people of Sethroë"), which might indicate that Peribsen founded a cult centre for the deity Seth in the Nile Delta. This may suggest Peribsen ruled over the whole of Egypt, or, at least, that he was accepted as king across all of Egypt. 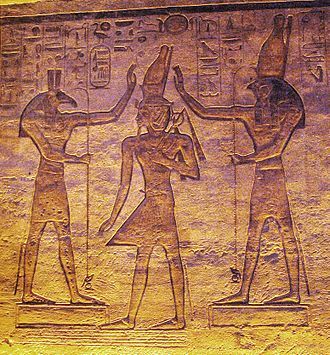 One official from Peribsen's reign, Nefer-Setekh ("Seth is beautiful"), the "wab-priest of the king", is known to Egyptologists by his stela. His name may highlight the appearance and popularity of Seth as a royal deity. "The golden one/He of Ombos hath unified/handed over the two realms for/to his son, the king of Lower and Upper Egypt, Peribsen". The title "The golden one", also read as "He of Ombos", is considered by Egyptologists to be a religious form of address to the deity Seth. 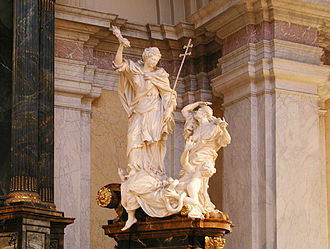 Despite his alignment with Seth, numerous deities were worshipped by the populace under Peribsen. Numerous clay seal impressions and jar inscriptions mention the gods Ash, Horus, Nekhbet, Min, Bastet and Kherty. 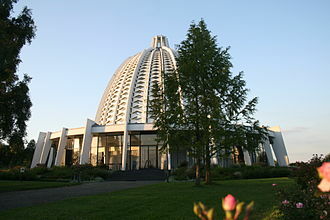 The depictions of the deities are followed by the name of the place or town where they had their principal cult center. On the Cairo stone, a statue of Ash and a fetish of Seth are credited to Peribsen, complementing the clay seal impressions. Curiously, several seal impressions show a sun disc over the Seth chimera atop the royal serekh: the ancient symbol for the god Ra. There is no archaeologic proof that the sun god Ra was part of the Egyptian pantheon at this early date; the appearance of the disc may be the first evidence of the evolving sun cult and theistic change. 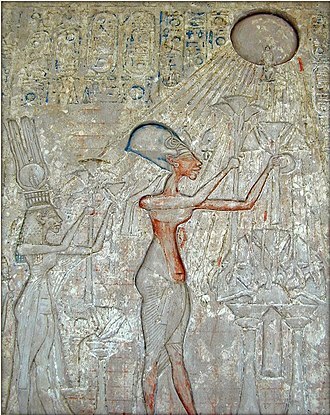 The sun disc appears in connection to one of the state patrons (for example, under Peribsen's predecessor Raneb the sun was connected to Horus); under Peribsen it was connected to Seth. Under king Khasekhemwy the sun finally received its own name (ra) and, at the time of throne change between Khasekhemwy and his follower Djoser, several priests and officials also connected their name to Ra. 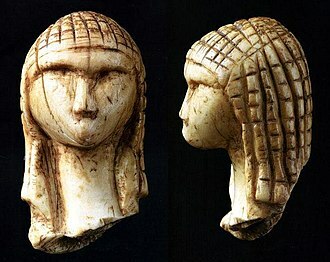 Alabaster fragment with the nebti-name Weneg. Egyptian historians such as Helck, Tiradritti, Schlögl, Emery and Grimal are convinced that Peribsen was a co-ruler. The investigation into the rulers of Lower Egypt is ongoing. The Rammesside king lists differ in their order of royal names from king Senedj onward. The royal table of Sakkara and the royal canon of Turin reflect Memphite traditions, which only allowed Memphite rulers to be mentioned. The Abydos king list reflects instead the Thinite traditions and therefore only Thinite rulers appear on that list. Until king Senedj, all the king lists are in agreement. After him, the Sakkara list and the Turin list mention three kings as successors: Neferkara I, Neferkasokar and Hudjefa I. The Abydos king list jumps forward to Khasekhemwy, calling him "Djadjay". The discrepancies are considered by Egyptologists to be the result of the division of Egypt during the Second dynasty. Additional contradictory findings are the Horus and Nebty names of kings discovered in the Great Southern Gallery in the necropolis of the (Third dynasty) king Djoser at Sakkara. Stone vessel inscriptions mention the kings Nubnefer, Weneg-Nebty, Horus Ba, Horus "Bird" and Za; each of these is mentioned only a few times, suggesting their reigns were short. King Sneferka might be identical with king Qa'a or an ephemeral successor of his. King Weneg-Nebty might be identical with the Ramesside cartouche name Wadjenes. But kings such as "Nubnefer", "Bird" and "Za" remain a mystery. They never appear anywhere else and the number of objects surviving from their lifetimes is very limited. Schlögl, Helck and Peter Kaplony postulate, that Nubnefer, Za and Bird were contemporaries of Peribsen and Sekhemib and ruled over Lower Egypt, whilst the latter two ruled Upper Egypt. Mehen game board from Peribsen's tomb in Abydos, on display at the Louvre. Peribsen was buried in the tomb P of the royal cemetery at Umm el-Qa'ab near Abydos. The first excavation of the tomb started in 1898 under the supervision of French archaeologist and Egyptologist Émile Amélineau. This first foray was followed by excavations in 1901 and 1902 under the supervision of British archaeologist Sir William Matthew Flinders Petrie. Further exploration of the tomb was undertaken in 1928 by the Swiss Egyptologist Edouard Naville. 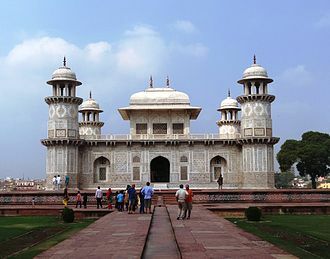 The tomb's construction is straightforward and, compared to the size of other royal tombs in the same area, surprisingly small. The design model was the tomb of king Djer (third pharaoh of the First dynasty), thought to be the 'Tomb of Osiris' from the Middle Kingdom. The architecture of Peribsen's tomb is similar to the residential palace. The tomb measures 16 metres (52 ft) x 13 metres (43 ft) and comprises three independent structures nested into one another: in the center is the main burial chamber, measuring 7.3 metres (24 ft) x 2.9 metres (9.5 ft), and which is made of mud bricks, reeds, and wood. On the north, east and west sides the burial chamber is surrounded by nine small storage rooms leading into one another; on the south face is a long antechamber. A passageway runs between the inner structures and the outer wall. Excavations under the supervision of the Deutsches Archäologisches Institut Kairo (DAIK) in 2001 and 2004 revealed that the tomb had been erected and completed in a great hurry. The building works took place in a single phase; the walls were plastered roughly; and the monument had collapsed several times over the centuries. During the Middle Kingdom, Peribsen's tomb was restored at least twice together with the tomb of Djer, which was thought to be that of Osiris. The tomb had been extensively plundered by tomb robbers during antiquity, yet numerous stone vessels and earthen jars remained. Some of the stone vessels had copper-coated rims and are similar to the better known finds from tomb of Khasekhemwy. Vessels from preceding rulers such as Nynetjer and Raneb were also found. Beads and bracelets made of fayence and carnelian and tools made of copper were excavated. Special findings include a silver needle engraved with the name of king Hor Aha and clay seal fragments with the name of king Sekhemib. The two stone stelae from the entrance, common to burial chambers of the First and Second dynasties, are now on display in two different museums. A royal funerary enclosure made of mud bricks was found close to Peribsen's tomb. Clay seals with Peribsen's serekh name on them were located near the eastern entrance and inside a destroyed offering shrine. The findings support the view that the building was part of Peribsen's burial site. The funerary enclosure is commonly known as "Middle Fort". This was first discovered in 1904 under the supervision of Canadian archaeologist Charles Trick Currelly and British Egyptologist Edward Russell Ayrton. The enclosure wall was located on the north-west side of Khasekhemwy's funerary enclosure "Shunet ez Zebib" ("raisin barn"). Peribsen's measures 108 metres (354 ft) x 55 metres (180 ft) and housed only a few cult buildings. The enclosure has three entrances: one to the east, one to the south and one to the north. A small shrine, measuring 12.3 metres (40 ft) x 9.75 metres (32.0 ft) was located at the south-east corner of the funerary enclosure. It once comprised three small chapels. No subsidiary tombs were found. The tradition of burying the family and court of the king when he died was abandoned at the time of Qa'a, one of the last rulers of the First dynasty. ^ a b Kathryn A. Bard: The Emergence of the Egyptian State, page 86, in: Ian Shaw (editor): The Oxford History of Ancient Egypt, Oxford University Press (2000), ISBN 0-19-815034-2. ^ Thomas Schneider: Lexikon der Pharaonen. Albatros, Düsseldorf 2002, ISBN 3-491-96053-3, p. 195. ^ Laurel Bestock: The Early Dynastic Funerary Enclosures of Abydos. In: Archéo-Nil. Vol. 18, 2008, ISSN 1161-0492, p. 42–59. ^ a b c d William Matthew Flinders Petrie, Francis Llewellyn Griffith: The royal tombs of the earliest dynasties/ 1901: Part II. (= Memoir of the Egypt Exploration Fund. Vol. 21, ZDB-ID 988141-4). Offices of The Egypt Exploration Fund u. a., London 1901, Tafel XXII, Abb. 178–179, (Complete essay as PDF-file). ^ Jeffrey A. Spencer: Early Egypt: The rise of civilisation in the Nile Valley. British Museum Press, London 1993, ISBN 0-7141-0974-6, p. 67–72 & 84. 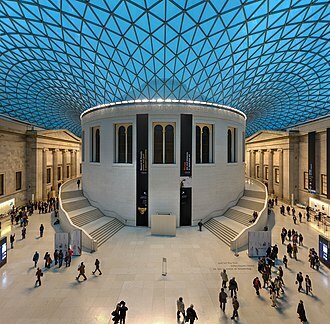 ^ W. M. Flinders Petrie: The Royal Tombs of the Earliest Dynasties, Part II. London 1901, Tafel XXII, page 178–179. ^ Jeffrey A. Spencer: Early Egypt: the rise of civilisation in the Nile Valley. British Museum Press, London 1993, page 67–72 & 84. ^ Francesco Tiradritti & Anna Maria Donadoni Roveri: Kemet: Alle Sorgenti Del Tempo. Electa, Milano 1998, ISBN 88-435-6042-5, page 84–85. ^ a b c d Bernhard Grdseloff: Notes d'épigraphie archaïque. In: Annales du service des antiquités de l’Égypte. Vol. 44, 1944, ISSN 1687-1510, p. 279–306. ^ a b c d e Toby A. H. Wilkinson: Royal annals of ancient Egypt - The Palermo stone and its associated fragments. Routledge, London 2012, ISBN 113660247X, p. 200–206. ^ Thomas Schneider: Lexikon der Pharaonen. Albatros Verlag, Düsseldorf 2002, ISBN 3-491-96053-3, page 219, 228 & 231. ^ Walter Bryan Emery: Ägypten - Geschichte und Kultur der Frühzeit. page 105 & 106. ^ a b c d e f Herman te Velde: Seth, God of Confusion. A study of his role in Egyptian mythology and religion (= Probleme der Ägyptologie. Bd. 6). Reprint with come corrections. Brill, Leiden 1977, ISBN 90-04-05402-2, p. 109-111. ^ Thomas Schneider: Lexikon der Pharaonen. Albatros, Düsseldorf 2002, ISBN 3-491-96053-3, p. 219, 228 & 231. ^ After Hermann Alexander Schlögl: Das Alte Ägypten. S.77ff. ^ a b c Jaroslav Černý: Ancient Egyptian religion. Hutchinson’s University Library, London u. a 1952, p. 32–48, Online article Archived 2016-03-04 at the Wayback Machine. ^ Walter B. Emery: Ägypten. Fourier, Wiesbaden 1964, ISBN 3-921695-39-2, p. 105–108. ^ a b c P.E. Newberry: The Seth rebellion of the 2nd Dynasty, in: Ancient Egypt., no. 7, 1922, page 40–46. ^ Auguste Mariette: Les mastabas de l'Ancien Empire. Paris 1885, page 92–94. ^ Nicolas Grimal: A History of Ancient Egypt. Wiley-Blackwell, Weinheim 1994, ISBN 978-0-631-19396-8, page 55–56. ^ Werner Kaiser: Zur Nennung von Sened und Peribsen in Saqqara B3. In: Göttinger Miszellen: Beiträge zur ägyptologischen Diskussion, No. 122. Ägyptologisches Seminar der Universität Göttingen, Göttingen 1991, ISSN 0344-385X, page 49–55. ^ a b c d e Hermann A. Schlögl: Das Alte Ägypten. Geschichte und Kultur von der Frühzeit bis zu Kleopatra. Verlag C. H. Beck, München 2006, ISBN 3-406-54988-8, page 78. ^ a b c Jean Sainte Fare Garnot: Sur quelques noms royaux des seconde et troisième dynasties ègyptiennes. In: Bulletin de l'Institut d'Égypte. vol. 37, 1, 1956, ISSN 0366-4228, p. 317–328. ^ Ludwig D. Morenz: Synkretismus oder ideologiegetränktes Wort- und Schriftspiel? Die Verbindung des Gottes Seth mit der Sonnenhieroglyphe bei Per-ib-sen. In: Zeitschrift für Ägyptische Sprache und Altertumskunde. vol. 134, 2007, ISSN 0044-216X, p. 151–156. ^ Dietrich Wildung: Die Rolle ägyptischer Könige im Bewusstsein ihrer Nachwelt. Volume 1: Posthume Quellen über die Könige der ersten vier Dynastien (= Münchner ägyptologische Studien. vol. 17, ZDB-ID 500317-9). B. Hessling, Berlin 1969, p. 47. ^ a b Michael Rice: Who's Who in Ancient Egypt. Routledge, London/New York 2001, ISBN 0-415-15449-9, page 72, 134 & 172. ^ a b c d e Francesco Tiradritti & Anna Maria Donadoni Roveri: Kemet: Alle Sorgenti Del Tempo. Electa, Milano 1998, ISBN 88-435-6042-5, page 80–85. ^ William Matthew Flinders Petrie & Francis Llewellyn Griffith: The royal tombs of the first dynasty. Band 2. page 7, 14, 19, 20 & 48. ^ a b Wolfgang Helck: Untersuchungen zur Thintenzeit. (Ägyptologische Abhandlungen, Volume 45), Otto Harrassowitz, Wiesbaden 1987, ISBN 3-447-02677-4, page 103–111. ^ Kenneth Anderson Kitchen: Ramesside Inscriptions. page 234–235; see also: Jürgen von Beckerath: Handbuch der ägyptischen Königsnamen.. Deutscher Kunstverlag, München/Berlin 1984, ISBN 3-422-00832-2, page 171. ^ Dietrich Wildung: Die Rolle ägyptischer Könige im Bewusstsein ihrer Nachwelt. Band 1: Posthume Quellen über die Könige der ersten vier Dynastien (= Münchner ägyptologische Studien. vol. 17, ZDB-ID 500317-9). B. Hessling, Berlin 1969, page 45–47. ^ Hermann A. Schlögl: Das Alte Ägypten. Geschichte und Kultur von der Frühzeit bis zu Kleopatra. Beck, München 2006, ISBN 3-406-54988-8, p. 77. ^ a b c Nicolas Grimal: A History of Ancient Egypt. Wiley-Blackwell, Weinheim 1994, ISBN 978-0-631-19396-8, page 55. ^ Dimitri B. Proussakov: Early dynastic Egypt: A socio-environmental/anthropological hypothesis of "Unification". In: Leonid E. Grinin (Hrsg. ): The early state, its alternatives and analogues. Uchitel Publishing House, Volgograd 2004, ISBN 5-7057-0547-6, p. 139–180. ^ Walter Bryan Emery: Great tombs of the First Dynasty (Excavations at Saqqara, vol. 3). Gouvernment Press, London 1958, p. 28–31. ^ Peter Kaplony: "Er ist ein Liebling der Frauen" – Ein "neuer" König und eine neue Theorie zu den Kronprinzen sowie zu den Staatsgöttinnen (Kronengöttinnen) der 1./2. Dynastie. In: Ägypten und Levante. vol. 13, 2006, ISSN 1015-5104, S. 107–126. ^ Barbara Bell: Oldest Records of the Nile Floods, In: Geographical Journal, No. 136. 1970, page 569–573; M. Goedike: Journal of Egypt Archaeology, No. 42. 1998, page 50. ^ Stephan Seidlmayer: Historische und moderne Nilstände: Historische und moderne Nilstände: Untersuchungen zu den Pegelablesungen des Nils von der Frühzeit bis in die Gegenwart. Achet, Berlin 2001, ISBN 3-9803730-8-8, page 87–89. ^ Jean-Pierre Pätznik: Die Siegelabrollungen und Rollsiegel der Stadt Elephantine im 3. Jahrtausend vor Christus. Spurensicherung eines archäologischen Artefaktes (= BAR, International Series. Bd. 1339). Archaeopress, Oxford 2005, ISBN 1-84171-685-5, p. 62–66. ^ a b Christian E. Schulz: Schreibgeräte und Schreiber in der 0. Bis 3. Dynastie. Grin, München 2007, ISBN 978-3-638-63909-5, p. 9–15. ^ Peter Kaplony: Die Inschriften der ägyptischen Frühzeit (= Ägyptologische Abhandlungen. vol. 8, 3, ISSN 1614-6379). Volume 3, Harrassowitz, Wiesbaden 1963, p. 406–411. ^ a b Eva-Maria Engel: Neue Funde aus alten Grabungen – Gefäßverschlüsse aus Grab P in Umm el-Qa'ab im Ägyptischen Museum Kairo. In: Gerald Moers u. a. (Hrsg. ): Jn.t dr.w. Festschrift für Friedrich Junge. Volume 1. Seminar für Ägyptologie und Koptologie, Göttingen 2006, ISBN 3-00-018329-9, p. 179–188, especially p. 181, 183–184. ^ Jean-Pierre Pätznik: Die Siegelabrollungen und Rollsiegel der Stadt Elephantine im 3. Jahrtausend vor Christus. 2005, p. 64–66. ^ Toby Wilkinson: Early Dynastic Egypt. Routledge, London/New York, 1999, ISBN 0-415-18633-1, page 89–91. ^ a b c Toby Wilkinson: Early Dynastic Egypt. Routledge, London/New York, 1999, ISBN 0-415-18633-1, page 295. ^ Susanne Bickel: Die Verknüpfung von Weltbild und Staatsbild: Die Verknüpfung von Weltbild und Staatsbild Aspekte von Politik und Religion in Ägypten, In: Hermann Spieckermann: Götterbilder, Gottesbilder, Weltbilder. Mohr Siebeck, Ulmen 2006, ISBN 3-16-148673-0, page 89. ^ Jochem Kahl, Nicole Kloth, Ursula Zimmermann: Die Inschriften der ägyptischen Frühzeit: Eine Bestandsaufnahme, Vol. III. Harrassowitz Verlag, Wiesbaden 1963, ISBN 3-447-00052-X, page 368. ^ I.E.S. Edwards: The Cambridge ancient history, Volume 1-3. Cambridge University Press, 1970, ISBN 0-521-07791-5, page 31 & 32. ^ Jochem Kahl: »Ra is my Lord«: Searching for the Rise of the Sun God at the Dawn of Egyptian History. Harrassowitz, Wiesbaden 2007, ISBN 3-447-05540-5, p. 2–7 & 14. ^ Günther Dreyer, Werner Kaiser u. a.: Stadt und Tempel von Elephantine – 25. / 26. / 27. Grabungbericht. In: Mitteilungen des Deutschen Archäologischen Instituts, Abteilung Kairo (MDAIK). Bd. 55, 1999, ISSN 0342-1279, p. 172–174. ^ Émile Amélineau: Mission Amélineau. Tome 4: Les nouvelles fouilles d'Abydos 1897–1898. Compte rendu in extenso des fouilles, description des monuments et objets découverts. Partie 2. Leroux, Paris 1905, page 676–679. ^ a b c d e Laurel Bestock: The Early Dynastic Funerary Enclosures of Abydos. In: Archéo-Nil. Bd. 18, 2008, ISSN 1161-0492, page 42–59, especially page 56–57. ^ a b c d Laurel Bestock: The development of royal funerary cult at Abydos. Otto Harrassowitz, Wiesbaden 2009, ISBN 3-447-05838-2, page 47 & 48. ^ Èdouard Naville: The cemeteries of Abydos. Part 1: 1909–1910. The mixed cemetery and Umm El-Ga'ab (= Memoir of the Egypt Exploration Fund. vol. 33, ISSN 0307-5109). Egypt Exploration Fund u. a., London 1914, page 21–25 & 35–39. ^ Günter Dreyer and others. : Umm el-Qaab – Nachuntersuchungen im frühzeitlichen Königsfriedhof (16. / 17. / 18. Vorbericht). In: Mitteilungen des Deutschen Archäologischen Instituts, Abteilung Kairo. (MDAIK). vol. 62, 2006, ISSN 0342-1279, page 75–77 & 106–110. ^ Toby A. Wilkinson: Early Dynastic Egypt. Routledge, London 2001, ISBN 0-415-26011-6, page 281. Wikimedia Commons has media related to Peribsen. The Fourth Dynasty of ancient Egypt is characterized as a golden age of the Old Kingdom. Dynasty IV lasted from c. 2613 to 2494 BC and it was a time of peace and prosperity as well as one during which trade with other countries is documented. 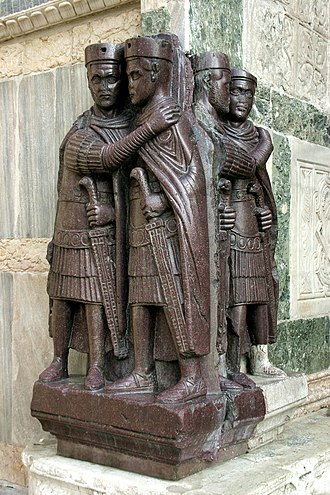 Dynasties III, IV, V and VI are often combined under the title the Old Kingdom. The capital at time was Memphis. The Fourth Dynasty heralded the height of the pyramid-building age, the relative peace of the Third Dynasty allowed the Dynasty IV rulers the leisure to explore more artistic and cultural pursuits. Sneferu’s building experiments led to the evolution from the mastaba styled step pyramids to the smooth sided “true” pyramids, no other period in Egypt’s history equaled Dynasty IV’s architectural accomplishments. Each of the rulers of this dynasty commissioned at least one pyramid to serve as a tomb or cenotaph, the pharaohs of the Fourth Dynasty ruled for approximately 120 years, from c. 2613 to 2494 BC. The names in the table are taken from Dodson and Hilton and he constructed a number of smaller step pyramids, making him the most prolific pyramid builder of the era. It is said that Sneferu had more stone and brick moved than any other pharaoh, sneferus chief wife was Hetepheres I, his half-sister and the mother of his son Khufu. His other two wives bore him more children, a well-liked ruler, Sneferu bolstered the power of the ruling family line by giving official titles and positions to relatives. He maintained control over the nobility by keeping a tight rein on lands and he conducted military excursions into Sinai, Nubia and began trade arrangements with Lebanon for the acquisition of cedar. Surviving from this era are the records of Egyptian contact with her neighbors. They are recorded on the Palermo stone, information carved on the stone pre-dates and antedates this dynasty. Objects dating to the reign of Khafre have been found farther away, at Ebla. Khufu is the ruler who is known in Greek as Χέοψ = Cheops and his son is Khafre and his grandson is Menkaure. All of these rulers achieved lasting fame in the construction of their pyramids at Giza. In fact, recent excavations outside the Wall of the Crow by Dr.
Userkhaure-setepenre Setnakhte was the first pharaoh of the Twentieth Dynasty of the New Kingdom of Egypt and the father of Ramesses III. Senakhte married Tiy-Merenese, perhaps a daughter of Merneptah, Setnakhte was originally believed to have enjoyed a reign of only two years based upon his Year 2 Elephantine stela but his third regnal year is now attested in Inscription No.271 on Mount Sinai. This date is only three months removed from Twosrets highest known date of Year 8, III Peret 5, and is based upon a calculation of Ramesses IIIs known accession date of I Shemu 26. Peter Clayton assigned Setnakhte a reign of three years in his 1994 book on the Egyptian Pharaohs, the Al-Ahram article notes that this data, contradicts. the official record, which says Setnakhte ruled Egypt for only three years. According to the new information provided by the stela, Setnakhtes reign certainly lasted for four years, as Setnakhtes reign was short, he may have come to the throne fairly late in life. p. h. in all the lands. Therefore, he likely did not even rule Egypt in his theoretical first year and could only properly administer the country from sometime during his second year. In any event, there was an interregnum lasting at least a year in which no ruler controlled all of Egypt and it is uncertain the degree to which this inscription referred to contemporary events or rather repeated anti-Asiatic sentiment from the reign of Pharaoh Ahmose I. Setnakhte identified with the God Atum or Temu, and built a temple to this God at Per-Atum, after his death, Setnakhte was buried in KV14 which was originally designed to be Twosrets royal tomb. In any case the mummy was destroyed in a looting in 1901, the Bakenkhunsu stela reveals that it was Setnakhte who began the construction of a Temple of Amun-Re in Karnak which was eventually completed by his son, Ramesses III. 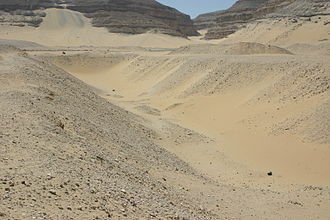 Setnakhte started work on a tomb, KV11, in the Valley of the Kings, Setnakhte appropriated the tomb of Queen Twosret, his predecessor, for his own use. Set /sɛt/ or Seth is a god of the desert, disorder and foreigners in ancient Egyptian religion. In Ancient Greek, the name is given as Sēth. 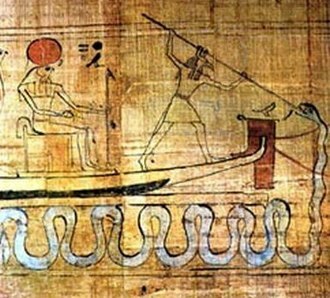 Set is not, however, a god to be ignored or avoided, he has a role where he is employed by Ra on his solar boat to repel Apep. Set had a role as a reconciled combatant. He was lord of the red land where he was the balance to Horus role as lord of the black land, in Egyptian mythology, Set is portrayed as the usurper who killed and mutilated his own brother Osiris. Osiris wife Isis reassembled Osiris corpse and resurrected him long enough to conceive his son, Horus sought revenge upon Set, and the myths describe their conflicts. This Osiris myth is a prominent theme in Egyptian mythology, Sets siblings are Osiris and Nephthys. He married Nephthys and fathered Anubis, and in some accounts he had relationships with the foreign goddesses Anat, some early Egyptologists proposed that it was a stylised representation of the giraffe, owing to the large flat-topped horns which correspond to a giraffes ossicones. The Egyptians themselves, made a distinction between the giraffe and the Set animal, during the Late Period, Set is depicted as a donkey or as having a donkeys head. The earliest representations of what might be the Set animal comes from a dating to the Naqada I phase of the Predynastic Period. If these are ruled out, the earliest Set animal appears on a head of the King Scorpion. The head and the tail of the Set animal are clearly present. In the mythology of Heliopolis, Set was born of the sky goddess Nut, Sets sister and wife was Nephthys. Nut and Geb produced two children who became husband and wife, the divine Osiris and Isis, whose son was Horus. The Chester Beatty Papyrus No.1 contains the known as The Contendings of Horus. Classical authors recorded the story, notably Plutarchs De Iside et Osiride and these myths generally portray Osiris as a wise lord and bringer of civilization, happily married to his sister, Isis. Set was envious of his brother, and he killed and dismembered Osiris, Isis reassembled Osiris corpse and embalmed him. Seti II, was the fifth ruler of the Nineteenth dynasty of Egypt and reigned from c.1200 BC to 1194 BC. His throne name, Userkheperure Setepenre, means Powerful are the manifestations of Re and he was the son of Merneptah and Isetnofret II and sat on the throne during a period known for dynastic intrigue and short reigns, and his rule was no different. The erasures were subsequently repaired by Seti IIs agents and this suggests that Seti IIs reign at Thebes was interrupted by the rise of a rival, king Amenmesse in Upper Egypt. This conforms well with the evidence of Seti IIs control over Thebes in his first two years, which is attested by various documents and papyri. In contrast, Seti II is absent from Upper Egypt during his third and this indicates that the reigns of Amenmesse and Seti II must have partly overlapped with one another and suggests that both rulers were rivals who were fighting each another for the throne of Egypt. Prior to his year, Amenmesse was finally defeated by his rival, Seti II. Seti IIs agents completely erased both scenes and texts from KV10, the tomb of Amenmesse. Seti II promoted Chancellor Bay to become his most important state official and built 3 tombs – KV13, KV14 and this was an unprecedented act on his part for Bay, who was of Syrian descent and was not connected by marriage or blood ties to the royal family. Due to the brevity of his reign, Setis tomb was unfinished at the time of his death. Twosret rose to power herself after the death of Siptah, according to an inscribed ostraca document from the Deir el-Medina workers community, Seti IIs death was announced to the workmen by The police Nakht-min on Year 6, I Peret 19 of Seti IIs reign. Seti II likely died sometime late in IV Akhet or early in I Peret, Wolfgang Helck, demarée have now proposed I Peret 2 as the date of Seti IIs actual death, presumably since it is 70 days before the day of his burial. From a graffito written in the first corridor of Twosrets KV14 tomb, Seti II was buried in his KV15 tomb on Year 1, III Peret day 11 of Siptahs reign. A deity is a concept conceived in diverse ways in various cultures, typically as a natural or supernatural being considered divine or sacred. A male deity is a god, while a female deity is a goddess, the Oxford reference defines deity as a god or goddess, or anything revered as divine. Various cultures have conceptualized a deity differently than a monotheistic God, a plain deity need not be omnipotent, omniscient, omnibenevolent, or eternal, however an almighty monotheistic God generally does have these attributes. Monotheistic religions typically refer to God in masculine terms, while other religions refer to their deities in a variety of ways – masculine, androgynous, some Avestan and Vedic deities were viewed as ethical concepts. In Indian religions, deities have been envisioned as manifesting within the temple of every living beings body, as sensory organs, but in Indian religions, all deities are subject to death when their merit runs out. The English language word deity derives from Old French deité, the Latin deitatem or divine nature, deus is related through a common Proto-Indo-European language origin to *deiwos. Deva is masculine, and the feminine equivalent is devi. Etymologically, the cognates of Devi are Latin dea and Greek thea, in Old Persian, daiva- means demon, evil god, while in Sanskrit it means the opposite, referring to the heavenly, terrestrial things of high excellence, shining ones. The closely linked term god refers to supreme being, which states Douglas Harper, is derived from Proto-Germanic *guthan, from PIE *ghut-, guth in the Irish language means voice. The term *ghut- is the source of Old Church Slavonic zovo, Sanskrit huta-, from the root *gheu- An alternate etymology for the term god traces it to the PIE root *ghu-to-, the term *gheu- is the source of the Greek khein to pour. Originally the German root was a noun, but the gender of the monotheistic God shifted to masculine under the influence of Christianity. In contrast, all ancient Indo-European cultures and mythologies recognized both masculine and feminine deities, the term deity often connotes the concept of sacred or divine, as a god or goddess, in a polytheistic religion. The musée dArchéologie nationale is a major French archeology museum, covering pre-historic times to the Merovingian period. It is located in the Château de Saint-Germain-en-Laye in the département of Yvelines, main article, Château de Saint-Germain-en-Laye The château had been one of the most important French royal residences in the Paris region since the 12th century. Following the move of the court to Versailles, the castle housed the court of James II of England in exile, became a school in 1809. The château, which was in poor condition, was classified as a monument historique on 8 April 1863. The interior was a maze of cells, false floors, the exterior was dilapidated and covered in a black coating. In 1857 he reported that all the partitions forming the cells and dungeons had been demolished, construction work began in 1862 with the destruction of the West pavilion. Millets goal was to restore the building to its state as it was under Francis I of France, Eugène Millet died in Cannes on 24 February 1879. The restoration was continued by Auguste Lafollye and Honoré Daumet, there was a great expansion of archaeology during the Second French Empire. The decree creating the Musée des antiquités celtiques et gallo-romaines was signed by Napoleon III on 8 March 1862. The first meeting of the set up to organize the museum was held on 1 April 1865 in the office of Count Émilien de Nieuwerkerke. Attendees included major figures in archaeology including Alexandre Bertrand, Édouard Lartet, Louis Félicien de Saulcy, the project was assigned to Bertrand, who became the first director, Jean-Baptiste Verchère de Reffye and Claude Rossignol. Bertrand adopted the arrangement of objects by age rather than by subject, the first seven rooms were inaugurated by the Emperor Napoleon III on 12 May 1867. In 1867 Arthur Rhoné joined the newly created Museum of Antiquities, by 190744 rooms were open to the public. These finds, discovered on the territory, are presented by chronological periods, Neolithic, Bronze Age, Iron Age, Roman period. A collection of archaeological and ethnological objects are presented in the comparative archeology room. Figure of a Horus Falcon, between circa 300 and circa 250 BC (Greco-Roman). The Walters Art Museum. Drawing of a relief of pharaoh Sethnakht. A small temple erected by Seti II in the atrium of the temple of Karnak. Fragment of a diorite vase inscribed with part of the name of pharaoh Sekhemib Perenmaat from the Pyramid of Djoser and now in the Egyptian Museum. The inscription reads (from right to left): "King of Lower- and Upper Egypt, Sekhemib-Per(enma'at), tribute of the foreigners, provisions to...".